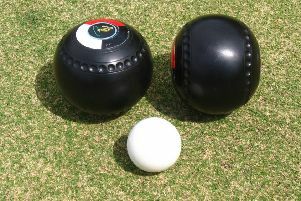 Parkside are firmly in the driving seat with a 6.5 points lead over second-placed Queensberry and a further point ahead of defending two-in-a-row defending champions Craigentinny going into tonight’s penultimate fixtures in Division 1 of The Alpha Trophies-sponsored Edinburgh Bowling League. “We need to find a strong killer instinct against Maitland tonight if we want to see off the challenge of the two clubs breathing down our necks as they play each other and the best outcome for us is that they damage either by sharing the spoils,” said Parkside spokesman Robert Donaldson. Parkside have Ian Fleming available after missing the previous three games, but have gone with Donaldson. Paul Veitch, Neil Watson and Derek Smith in a team that sees national singles challenger Alex Hurry continue at lead. Maitland came up as a promoted team this season and having topped the table in the early weeks have settled back into commendable fourth place, but given how high the stakes are have a tough task on away territory. Craigentinny stumbled badly at home to Hillside in their previous fixture and that form makes them vulnerable to their Queensberry visitors, who have great incentive to bury the record seven-times champions. Leith are at home to Northern and Summerside visit Hillside in the other ties.